I have had several jobs done with Maxim from MBA Roofing. He always gave me very reasonable and accurate quotes, he arrives on time and does an excellent job at repairing roofs and gutters. Always leaving the area clean and tidy and explains what needs doing and how he will do the job. Recently storm "Doris" ripped off a down pipe from my loft gutter. I called Maxim who came and fitted it for free! I was amazed as it was a difficult job on the loft which is very high and is dangerous to access. I will definitely use MBA Roofing again. I highly recommend MBA Roofing for: - high quality of work - honest quotes - friendly approach 5 stars from a happy customer. Had lots of quotes..wasn't really convinced by price or people. Maxim was recommended by a very good friend. He had nothing but positive reviews. I invited him over and he was clear about the problem. We redone the flat roof. It was a 1 day 1 man job. Very reasonably priced. Left the drive and property clean. He took before, during and after work pictures. Easy to contact. Very polite. Will be using Maxim for work in the Summer. Very good work and friendly professional service. Would highly recommend. Thank you MBA Roofing. Came to replace a few slipped tiles at the back of our house. Max is a very genuine and friendly guy. He goes out his way to help and goes the extra mile. Highly recommended. Friendly and polite service excellent workmanship they did a really good job. And price was very reasonable really glad I went with them would definitely recommend them. Lovely service from MBA roofing services. Had several tiles that had fallen off due to the bad weather. They came and quoted a reasonable price and got the job on the same day. All done perfect without a fuss. Great service and would highly recommend. A job well done. Very pleased. Thank you very much. MBA provided an excellent service. Accommodating, quick to quote and complete, reasonably priced. Highly recommend their services. Very professional. Excellent attention to detail. Very happy with the work. A truly 5 star service provider. I used MBA roofing service to repair my roof after noticing the many 5 star reviews they had received. The price they offered was competitive. The quality of work was high. The after repair service was excellent. Max and the guys at MBA are incredibly reliable, friendly, skilled and reasonably priced. I would happily recommend them to anyone who requires roofing sevices. We have used MBA for various jobs. Recently we had a complex leak in glass roof panels. Couldn't tell where the water was entering. Maxim arrived and devised a plan. The fix wasnt what we needed. Maxim came back - devised a new plan at no additional cost and now even over heavy rains, all is good. We will use MBA again. Very professional and accommodating with time. We used MBA roofing services a couple of times others services ruined our roof but MBA service fixed it all and very respectable workers and Manager Muhammad and all done at a great price would definitely use again. MBA roofers have done a number of jobs for me and have always provided me with an excellent service. They have been cheaper, responded quicker and done a better job than the other local roofing companies i have tried. Always been very conscientious about their work and when there was an issue they returned right away to assess it, identified the problem and spent the whole of today (New Years Eve) making further improvements at no cost to make sure there would be no future issues. Always found them to be honest, trustworthy and affordable. Would definitely recommend them. Max and he’s team recently completed a strip and refelt of our garage flat roof. They completed the job quickly and all of the detailed work looks excellent. We were very happy with his work especially as his job was not made easy by the weather. He let us know when he would be on site and how the job was progessing as we wanted it all finished before Christmas which Max managed to do. Could not recommend Max enough. Also felt he was very well priced compared to other prices we revived and the job we got. Thanks again. Max has been great from the start. Professional, honest, hard working and has a lovely friendly manor. He's been very effeciant and has done a great job on our roof. We were in need of an emergency roofer and Max was able to come when we need, fixed the job temporarily until he and he's team was available to to do the complete work that was needed just a couple of weeks later. We highly recommend them. A very friendly and professional service, and quick to respond too. I'e used MBA Roofing Services on more than one occasion, and most recently he completed the work just a few days after I got in touch, took pictures before and after, Highly recommended"
Phoned MBA Roofing Services to clear my guttering and re-attach a drain hopper which had become loose. Received a prompt response, they were able to come out later the same day! Excellent service, tidy work, all rubbish removed and disposed of. Very happy with the work and would definitely use the company again. Great reliable and punctual service and very reasonable price as I always get a few quotes to compare. Had my side flap of the loft roof flapping from the recent wind which previous roofers didn't do a good job of. Used Mohammad from MBA roofing service a year ago to reseal and fix my gully leak and haven't had a problems since then. You may be wondering which is the best flat roof, well then you do not need to worry as MBA Roofing UK is here to assist you make the right choice when it comes to flat roofing. Our experience as a premier roofing company in East London and years delivering quality roofing needs to our clients enable us to advice you on the best flat roofs. We understand the need to know the different kinds of flat roofs and which materials to use when flat roofing. So, we have given you the differences between the flat roofs so as to make an informed decision when choosing one. Felt roofs – these are low cost. It is made from thin bitumen felts glued together with hot bitumen. It is suitable as it can be laid on different sizes of roofs. It is also damage resistant and can withstand hot weather. Asphalt roofs – these types of flat roofs cost 20-30% more than Felt roofs. It can be laid out on different sizes of roofs and the upside is that it is damage resistant. It is also easy to repair and it has wonderful aesthetic properties which make your home looking beautiful and wonderful. 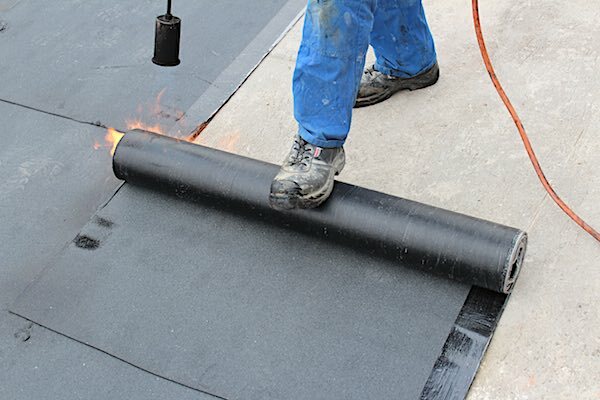 EPDM Rubber Roof – can be installed in one layer depending on the size of the roof without having any joints. It costs more than the felt roofs and it is suitable for roofing without any complicated structures such as gutters and pipes. It is damage resistant as it is very durable and can withstand all forms of abuse and impact. It can be repaired easily by using rubber patches when vandalised. 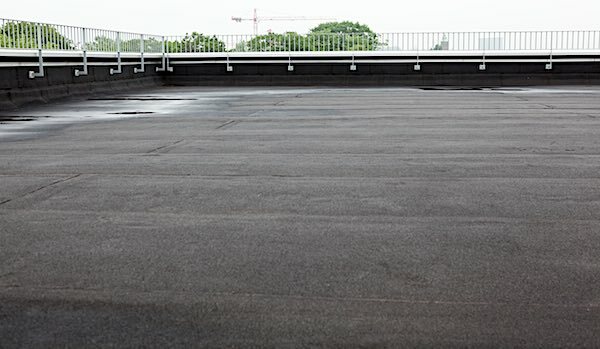 Fibre Glass GRP Flat Roof – these types of flat roofs guarantee 20 – 25 years of service. This type of roofs can be a bit expensive but the upside is that it is durable. It is perfect when a person is looking to have that aesthetic appeal. Single Ply Membrane – this is one of the lightweight flat roofs in the market. Instead of multiple layers, the flat roof is installed in a single layer which is able to resist UV and micro-organism. 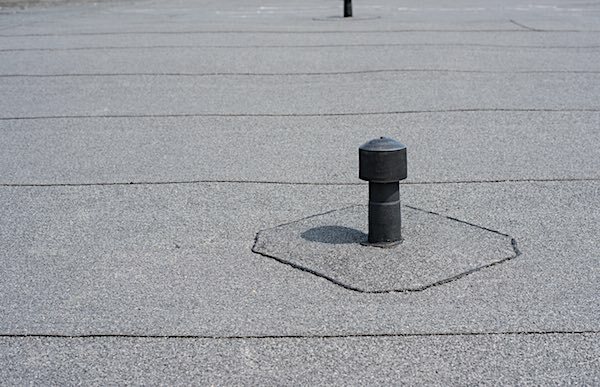 It doesn’t matter the type of flat roof you have installed, MBA Roofing UK is always at hand ready to assist you with flat roofs in East London. We will arrive and help you install or repair your new flat roofs leaving you very satisfied and happy.